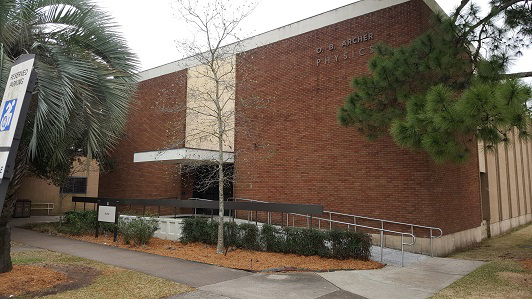 The Archer Building on the campus of Lamar University is home to the Physics Department. Visit our department on the first floor and meet the Staff, Faculty, and Physics majors. 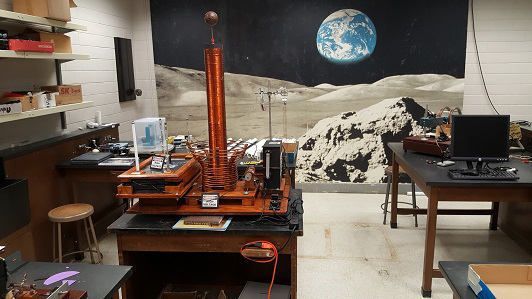 The Advanced Physics Lab at Lamar University provides an opportunity for Physics majors to develop the skills and experience in developing advanced experiments and explore many areas of research. 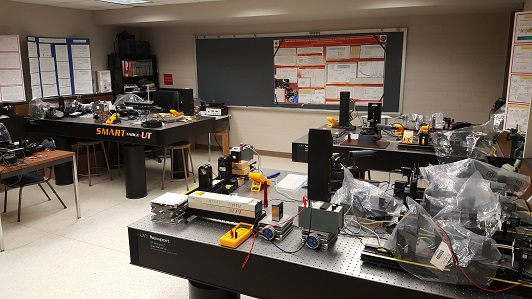 Students in Electrical Engineering and Physics majors perform experiments while engaging in research across in Optics and Optical mechanics in the Optical Mechanics lab here at Lamar University. See the latest one-on-one professional interactions between faculty and physics majors in a vast array of research areas in preparation for a future lifelong career in Physics or a Physics-related profession. University Reception in honor of Dr. Kip S Thorne as the distinguished speaker for the Lamar University lecture series. His talk was on Interstellar: The Science Behind the Movie. 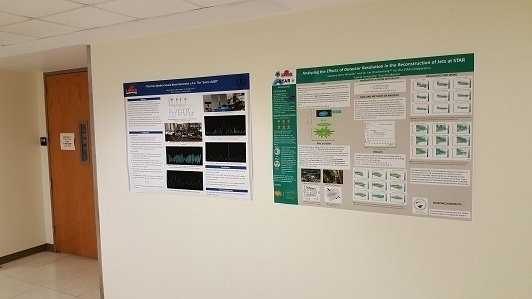 Ask Dr. Philip Cole our department Physics chair on Undergraduate Research opportunities in experimental nuclear Physics on the Rhine in Germany. See the flyer for more details. 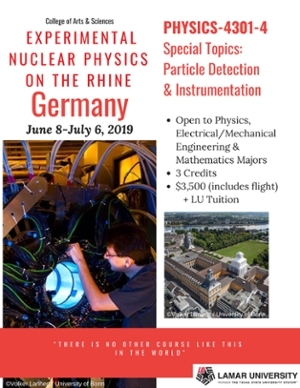 See the details for URE opportunities in Experimental Nuclear Physics on the Rhine in Germany. 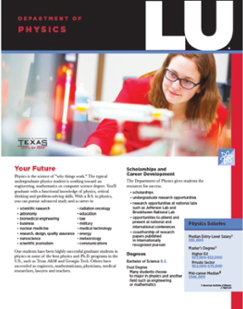 The Physics Department at Lamar University provides opportunities for students attending Lamar to acquire experience and opportunity to explore a career in Physics or a Physics-related profession. 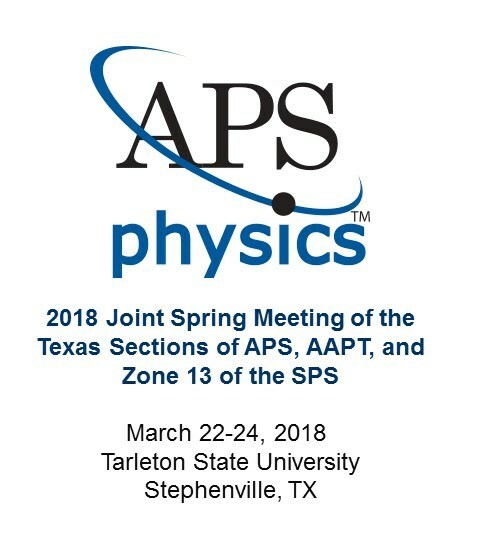 Physics majors have opportunities to explore and specialized in research opportunities with the option of joining the SPS Lamar Chapter affiliated with the American Physical Society. All Students, Faculty, and Staff within and outside the College of Arts & Sciences are invited to attend our first official colloquia of 2019 with Dr. Edwin L. Piner a faculty member with the Dept. of Physics at Texas State University. Dr. Piner leads the Piner Research Group at TETF Laboratories for the Material Sciences, Engineering, and Commercialization Program at TSU. All of our colloquia events take place at the Archer Building Auditorium in Room 108. 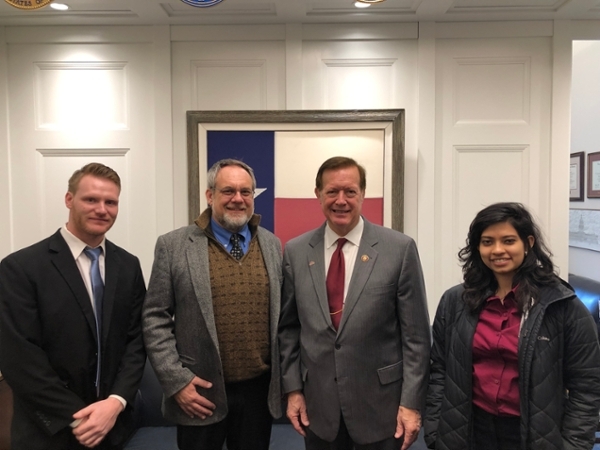 Physics Major Alek Hutson and the Chair of the Physics Department Philip Cole got to meet with our U.S. Representative Randy Weber (14th District of Texas) on March 11, 2019, to discuss the benefits and applications of Nuclear Physics. Over 100 nuclear physicists from across the nation met with various members of Congress for Nuclear Physics in DC Day at Washington DC to speak about the importance of supporting the science budget. Experimental Nuclear Physics on the Rhine -- Germany. 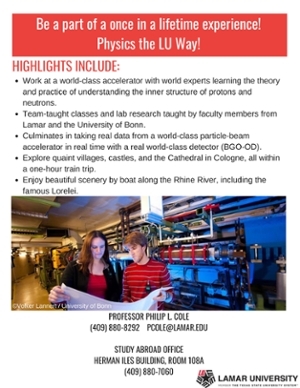 In coordination with the University of Bonn, the Lamar Physics Department will be holding a special four-week course on Particle Detection & Instrumentation in Bonn, Germany. It is open to Electrical/Mechanical Engineering and Mathematics Majors, who have taken Physics 3350 (Modern Physics). The cost includes lodging, travel (flight + train), and in-country insurance. Contact the Chair, Philip Cole, for further information. See: https://www.uni-bonn.de/studying/international-students/summer-and-winter-schools/bonn-summer-schools/copy2_of_bonn-summer-schools and click on Physics Institute. The course will be conducted at the world-class accelerator at the Physics Institute of the University of Bonn. You will even get to take real data with the particle-beam accelerator. 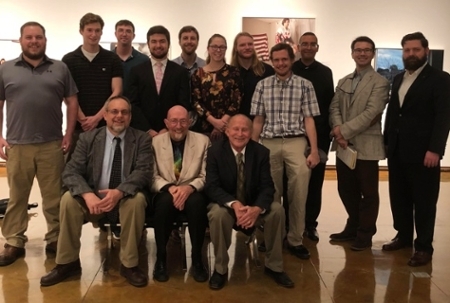 The Kip S Thorne Lecture from 16 October 2018 took place at the University Theater packed with University students, staff, and faculty along with members of the general public to maximum capacity. An additional location was added to accommodate the extra crowds in order to watch the lecture via live video feed. One can view the various images taken of Dr. Thorne Lecture. We thank Mr. Sun for providing the wonderful set of images taken during the lecture. Join the Physics Team here at Lamar and get an opportunity to know each of our great Facility, Staff, and Physics Majors. We are centered at the Archer Building. Learn more about our Specialized Laboratories. Opportunities to do Research and Attend Conferences/Workshops. 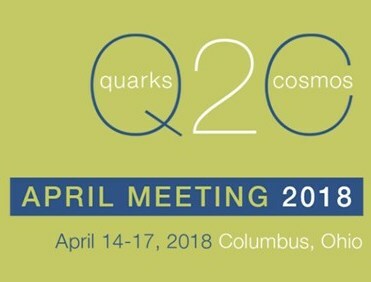 Participate in Seminars, Activities, and the Physics Colloquia. Become a Physics major, get a Double major involving Physics, or a minor in Physics. Join the SPS (Society of Physics Students) Lamar Chapter. Nights of Astronomy at Lamar! The opportunities for a Career in Physics or Physics-related are academic, industrial, or working for research institutions both private or national laboratories. Explore the possibilities! Becoming self-informed about the latest trends and breakthroughs in fields of Physics and Astronomy is essential to stay on top of becoming a great Physicist when it comes to teaching, research, or promoting Science funding.